"HOW MUCH DO YOU LOVE ME? ", I ASKED. Romans 3:10 There is none righteous, not even one. Romans 3:23 All have sinned and fallen short of the glory of God. Romans 6:23 The wages of sin is death, but the gift of God is eternal life in Christ Jesus our Lord. 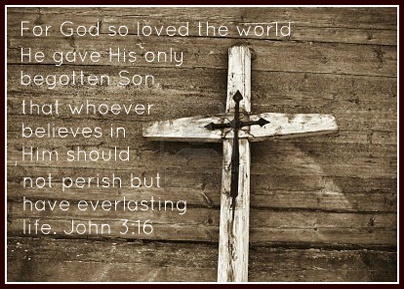 Romans 5:8 God proves His own love for us, in that while we were still sinners Christ Jesus died for us. Romans 10: 9-10 If you confess with your mouth, "Jesus as Lord", and believe in your heart that God raised Him from the dead, you will be saved. With the heart one believes, resulting in righteousness, and with the mouth one confesses, resulting in salvation. Ephesians 2:8-9 For by grace are you saved, through faith and this is not from yourselves; it is a gift from God - not from works, so that no one can boast. Dear Lord Jesus, I know that I am a sinner and Lord I ask you to forgive me of my sinful ways. I know you died on the cross for my sins and rose again on the third day, that I might have eternal life. I ask you to come into my heart and save my soul. I accept Jesus as my Savior and my Lord. Thank you Lord Jesus for coming into my life and saving me! In Jesus name, Amen! If you said this prayer and invited Jesus Christ into your life, give us a call or send us an email. We wish the best for you and want to pray for you!